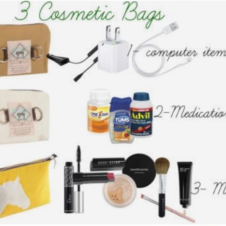 Lynn Symanky’s Basics, Travel & Rider on the Go Tips, Must Haves, etc…. Any Basics that horsewomen need? I couldn’t survive without my Barbour jacket, especially after the particularly rainy spring we had both in Aiken, South Carolina and Middleburg, Virginia this year. It got me through the cold downpours at Pine Top, Southern Pines II, and The Fork while also sporting a classy look. In addition to keeping me warm and dry, the Barbour jacket has a great fit with the classic English country look that is so popular right now. It goes great with breeches as well as jeans and a pair of Dubarry boots – another staple I can’t live without. During the summer months, chap stick, sunscreen, sunglasses, a cute floppy sun hat, and moisturizer… because leathery, wrinkly skin doesn’t go well with anything! As far as riding fashions go, I would be lost without my Animo clothes. Their breeches, jackets, and shirts are absolutely flawless when it comes to a flattering fit, and they are definitely on the forward edge of fashion. I get comments every day about my breeches and how flattering and stylish they are. Their show jackets are absolutely gorgeous and form fitting as well. Pretty much anything they send me is sure to be a hit. I also love the new helmet trends from Charles Owen. The new Charles Owen Ayr8 that comes in leather or suede as well as a multitude of fabric and piping colors is so fun to customize for both dressage and show jumping. I never ride without a helmet so I am thankful that my safety equipment is stylish as well! As far as non-riding fashions, I’m really influenced by English country trends because they pair effortlessly with riding clothes. It’s so easy to go straight from the barn to casual dinner by simply throwing on a quilted jacket and Dubarry boots for a classic look. What are your go to pieces? Your top 3-5 favorites? Colors you enjoy? I love jackets and scarves – bold, simple colors complete any look. Even in warmer weather, you can still go with a lighter weight blazer with a gauzy scarf in the evening time. Fun colored slacks and skinny jeans with a pair of cute pair of boots or flats are also some of my favorites. With a few different color options in each of these pieces, you can have an endless possibility of outfit choices by pairing neutrals with bolder colors. I love blues and pinks—I have both breeches and jeans in a pale mauve/magenta color and different shades of blue, and I wear them a lot. They are fun colors without being too flamboyant. Do you have any Rider on the Go Tips? Definitely buy great breeches that flatter your figure and hold up well to lots of riding. I wear breeches all day every day so try and look neat and professional while still being ready to hop on a variety of horses. I am lucky to live in a town where breeches are a common site in the grocery store and coffee shops, but with the equestrian look in style you can always feel cute in breeches when you run errands or go to a casual dinner. I always keep hand lotion, mascara and lip balm in my purse, truck and trailer, and a scarf and jacket to dress up any type of outfit. Do you have any travel tricks that you do? I am probably best known for always being prepared for any weather. My truck, trailer, and car are stocked with jackets, boots, rain, snow, and sun gear. As far as long trips I always use the time to catch up on my phone calls, e-mails, and computer work that I don’t have time do to while riding all day. I never think of travel time as a waste as I can always find something productive to do! What’s the next this 2013 season for you? I am really excited for the Summer/Fall season! I plan to go to Europe this Fall to compete Donner, and have some exciting young horses coming up through the ranks. Alton Quanbeck’s Osborne 9 will hopefully be targeting a CCI** this fall as well as my young NZ horse Waitangi Notebook. 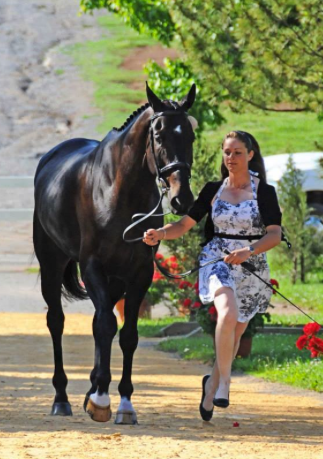 Lois Mermelstein owns a fantastic athlete of a horse Zoe, and excited to do a One Star and Intermediate in the Fall. 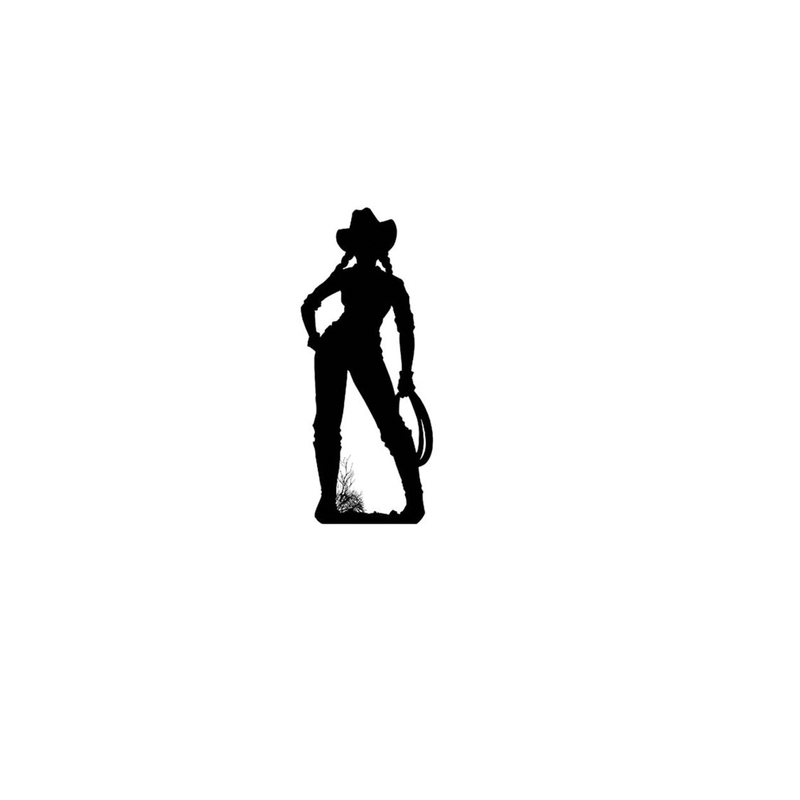 I am also in the process of getting more people involved in the ownership and career of Donner, so STAY TUNED TO LYNN SYMANSKY EQUESTRIAN on Facebook (https://www.facebook.com/LynnSymanskyEquestrian) and Twitter (@LynnSymanskyEq) for that developing opportunity soon! 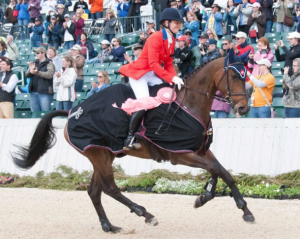 Previous Post Equestrianista of the Week- Lynn Symansky! Getting the Horse Inspection outfit Right! 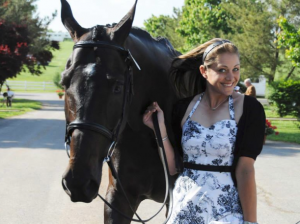 Next Post Travel Tips from Equestrianista designer- Rebecca Smith of Rebecca Ray Designs!